I WEAR THE CROWNS: Web 2.0 and Information and Media Literacy- Perfect Together! I really do wear the crowns, and I think like a queen. “THINK LIKE A QUEEN. A QUEEN IS NOT AFRAID TO FAIL. FAILURE IS ANOTHER STEPPINGSTONE TO GREATNESS.” - Oprah Winfrey That's all me. Web 2.0 and Information and Media Literacy- Perfect Together! 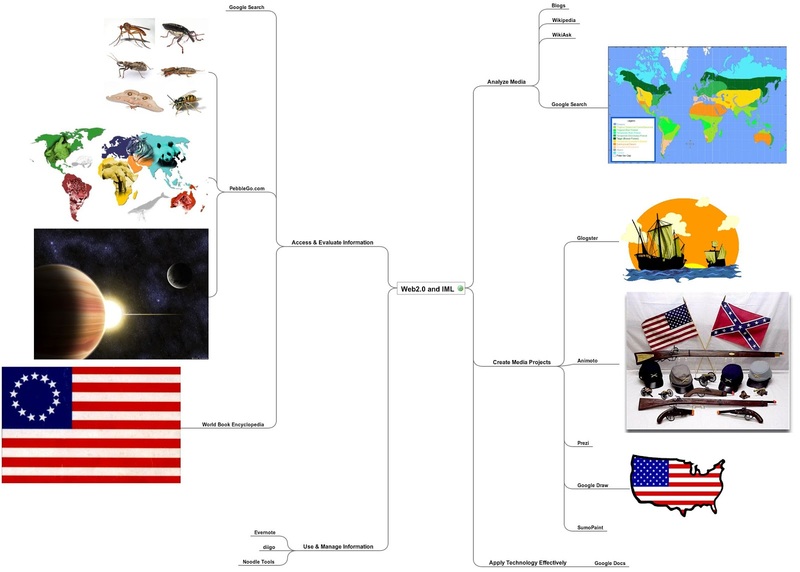 Our assignment was to create a mind map to illustrate our understand of how Web 2.0 tools can support information and media literacy. I referred to Route 21- The Partnership for 21st Century Skills, and Kathy Schrock's Google Tools to Support Bloom's Revised Taxonomy for assistance. You can assess my understanding and the projects we complete below. Each year, I try to update or introduce class projects when the projects are no longer fun for me to teach. Now that I'm familiar with the curriculum, the part I enjoy most is figuring out the logistics of pulling off a new project. Of course, sometimes we choose to scrap it as soon as we're done. Most of the time, teachers are open to change, but I do run into resistance too. I appreciate your statement, “the part I enjoy most is figuring out the logistics of pulling off a new project." That’s what makes for a good teacher- revisit, revise, reinvent. I can’t imagine teaching the same lesson over and over, unchanged, for years. How boring for everyone. 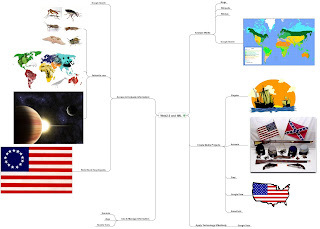 Luckily, the amount of web 2.0 tools available allows for so many variations on any lesson –as your map shows, we will never lack for new ideas!